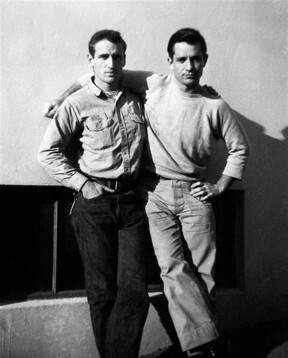 A worthy on-going fund-raising campaign – the campaign to establish a permanent Neal Cassady-Jack Kerouac statue in Denver, Colorado. Mark Bliesener, director of the annual Neal Cassady Birthday Bash, is spearheading the program. 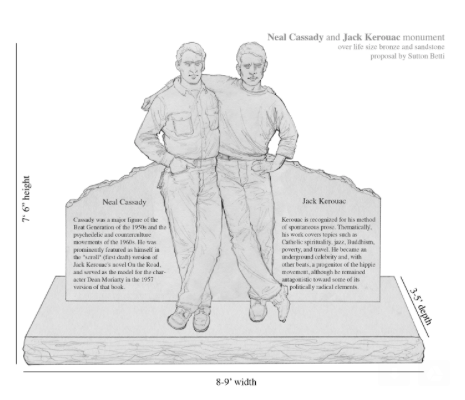 The proposed monument (see here) has been designed by noted Colorado sculptor Sutton Betti. The first stage, an IndieGoGo.com crowdfunding campaign, is to raise the $2,500 cost of a 21” scale model that will become the “maquette” used to create the full-scale life-sized version. This scale model will help secure the additional outside funding necessary to enable completion of the monument which will then be presented as a gift to the City of Denver.